Hulme,M. (2013) Exploring climate change through science and in society: an anthology of Mike Hulme’s essays, interviews and speeches Routledge, Abingdon, 353pp. Hulme,M. and Neufeldt,H. (eds.) 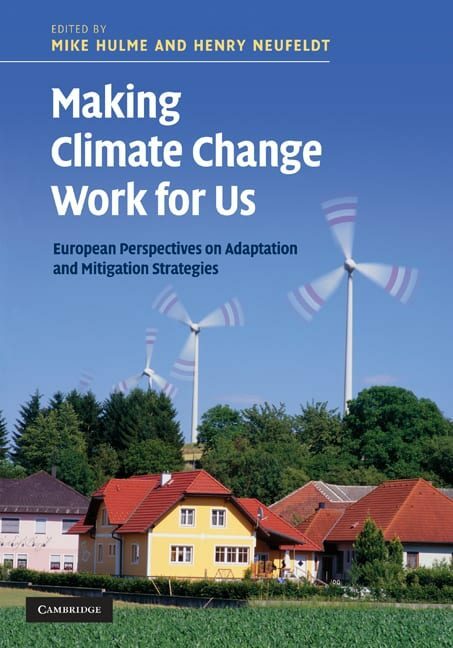 (2010) Making climate change work for us: European perspectives on adaptation and mitigation strategies Cambridge University Press, Cambridge, 464pp. Hulme,M. (2009) Why we disagree about climate change: understanding controversy, inaction and opportunity available at: Cambridge University Press, Cambridge, 393pp. Hulme,M., Jenkins,G.J., et al. (2002) Climate change scenarios for the UK: the UKCIP02 scientific report Tyndall Centre, Norwich, 120pp. Hulme,M. and Jenkins,G.J. (1998) Climate change scenarios for the UK Climatic Research Unit, Norwich, 80pp.